This time, Taken from the MK Council website, Which you can view by clicking me! There are changes to bus routes within the Milton Keynes borough from 25th October 2009. To find out more please see the information below or alternatively contact traveline public transport info 0871 200 22 33. Revised timetables will be introduced on routes 1 and 1C. With the exception of one Monday to Friday return peak journey route 1B between Olney and Northampton will be replaced by new route 36. Route 2E: Wolverton – Greenleys – Central Milton Keynes – Newport Pagnell The operator of some journeys will change. The operator of some journeys will change. Route 5: Wolverton – Central Milton Keynes – Bletchley – Lakes Estate Saturday daytime route increased in frequency. Some Monday to Friday journeys between Bletchley and Central Milton Keynes will be operated by Z & S International. A revised Saturday timetable will be introduced. Route 7A: Wolverton – Gt Linford – CMK Journeys extended to Bletchley via Furzton replacing route 9. A revised Saturday timetable will be introduced. Well, The plan to blog from Duxford didn’t really happen as I struggled to get a decent 3G signal all day (Thanks o2! ), But I’ve managed to find one picture online of us arriving on our bus. I’ll add some of the silly pictures I took later. Service 1B between between Olney and Northampton will cease to be operated by MK Metro/Arriva after operation on 24 October 2009. Full details of the revised timetable and operator will be available from Northants County Council and Traveline 0871 200 22 33 www.traveline.info shortly. Please note that MK Metro Saver tickets will not be sold or accepted by the new operator. Customers still in possession of a valid MK Metro weekly or 4 weekly Saver at 26 October 2009 who require a refund should write to our Customer Services Dept, Free Post ANG 7624, Luton LU4 8BR. We would like to thank all our passengers on the this section of route for their valued custom. Service 1B between Olney and M Keynes will operate to a revised timetable, but with a similar frequency, from 26 October 2009. Details will be available from Traveline 0870 200 222 33 www.traveline.info. One MK Metro/Arriva peak journey in each direction will continue to link Stoke Goldington, Ravenstone and Weston Underwood with Newport Pagnell and M Keynes. And there will be some exciting new timetable changes by MK Metro/Arriva from the same date between Lavendon, Olney and Milton Keynes. Services 3E, 17A, 17B, 18, 26E, 30 and 31. We would like to thank all our passengers on these routes for their valued custom. Saturday Service 29 between Bletchley and CMK. 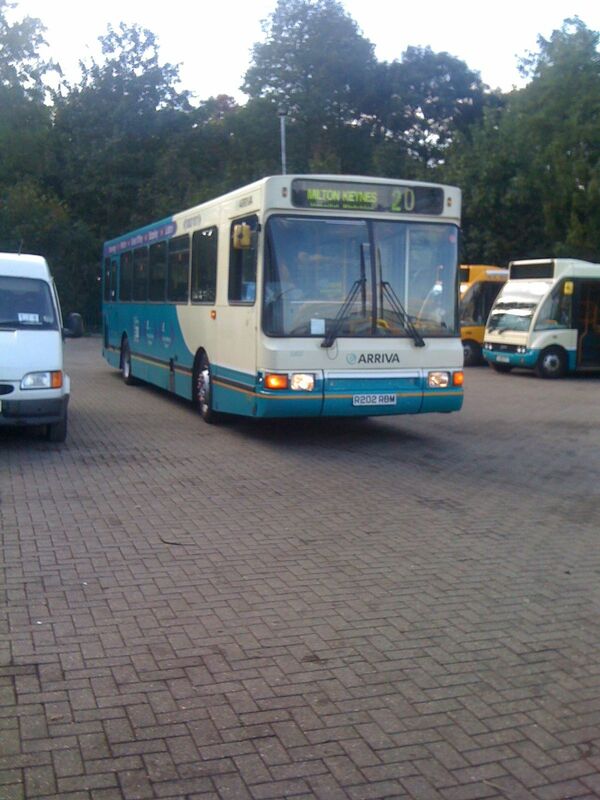 Look out for details of an improved MK Metro/Arriva Saturday service on route 5 from 31 October. Sunday service on route 33. Look out for details of MK Metro/Arriva improvements to the Monday to Friday service on route 33 from 26 October. Certain peak journeys on Service 20 between Westcroft and CMK. 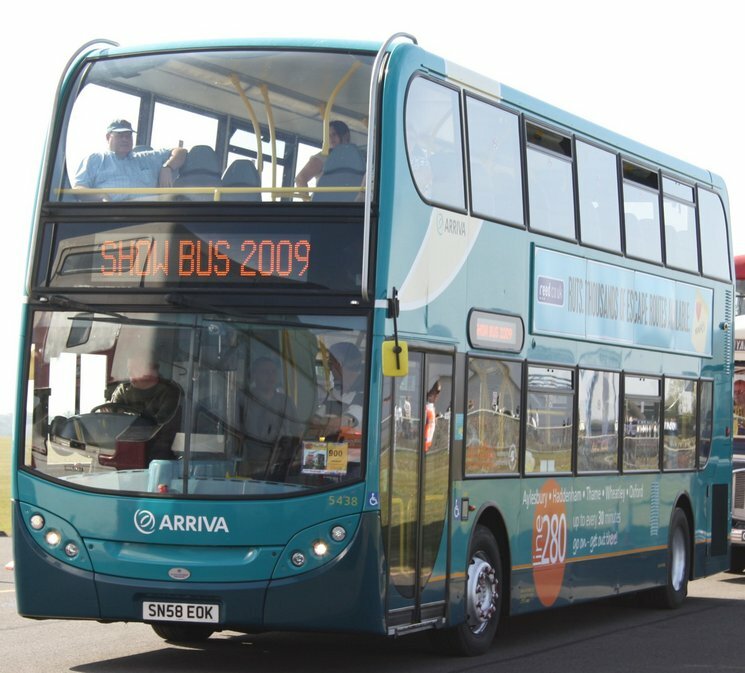 Look out for details of MK Metro/Arriva improvements to Ser 20 between Station/CMK and Walnut Tree from 26 October 2009. Alternate Mon – Fri Service 6 journeys between CMK – Bletchley. Look out for details of a new direct MK Metro/Arriva service from Tattenhoe, Emerson Valley and Furzton to MK Station and CMK starting on 26 October. The changes are a result of re – tendering of contracts by Milton Keynes Council. Details of the new operators are available from MK Council on 01908 252542. Please see note above in Service 1B item about MK Metro/Arriva season ticket validity on the changed routes. I hope to do some mobile blogging from Showbus tomorrow. Keep an eye out on the blog! Ex Stevenage Scania has arrived at MK, complete with route branding for Stevenage route 100.